If you owe a lot, you’re not alone. Today’s consumer owes an average of $28,000 on credit cards and loans, according to Experian’s latest annual State of Credit report, and that’s not even counting mortgage debt. If you’re a recent college grad carrying this type of financial load and wondering what to pay off first, you should know that all debt is not equal. You can pay off what you owe more effectively if you pursue an informed repayment strategy. The average student loan debt rose to $29,400 last year, according to the most recent Project on Student Debt statistics. 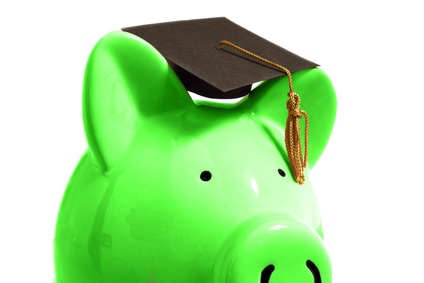 Repaying your college bills can be tough if you don’t graduate or if you have trouble finding work after graduation. Also, federal student loan interest rates have been rising, resulting in 30 percent of borrowers getting 90 days or more behind their repayments, according to the Federal Reserve Bank of New York. However, this summer Congress passed legislation to lower and cap interest rates. Other legislation has been pushing to make education more affordable, and student loans have more flexible repayment schedules and options than other types of debts, with hardship deferment and other forms of assistance available. The U.S. Department of Education Federal Student Aid guide can help you develop a repayment plan. The average American household owes $7,128 on credit cards, according to the latest Federal Reserve data. When deeply indebted cardholders are factored in, this grows to $15,279, making credit cards the third-highest source of indebtedness after mortgages and student loans. Credit card interest rates can run high, and if you only pay your minimums, you can end up stuck in debt for a long time paying off much more than you borrowed. Your best bet with credit cards is to get a card with a low interest rate and repay what you borrow as soon as possible. If you have significant credit debt, consider your options for paying it off faster to avoid future interest. If you currently receive regular payments from a structured settlement or annuity, a company like J.G. Wentworth can buy your structured settlement for a lump sum of cash now. You can use this money to pay down your credit card debt and save you future interest. Mortgage debt varies regionally with the cost of real estate and living expenses. If you live in the Midwest, the average mortgage balance is $143,850, according to this year’s SaveUp’s U.S. Consumer Savings and Debt Report. If you live in the West, where the cost of living is much higher, the average is $255,979. No matter where you live, mortgage debts carry the largest balance of all type of debt and take the longest to pay back. Combined with the risk of lost equity, this can make mortgage obligations potentially the worst type of all debt. On the other hand, you may be able to use your equity to lower interest rates and consolidate credit card balances. You may also be able to refinance to a shorter-term loan to pay off your mortgage sooner. Financial expert Dave Ramsey suggests pursuing early mortgage repayment after you’ve paid down other debts with lower balances. Bob Howell is a financial counselor from the Southwest who helps families dig out of debt.